In order to take quizzes requiring Respoondus Lockdown Browser in Canvas, follow the directions below. The Canvas Respondus Lockdown Browser is not compatible with the previous Lockdown Browser version from D2L. 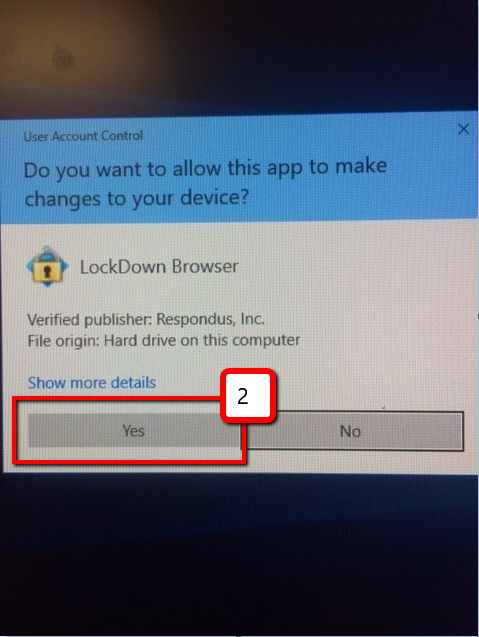 1 If you already have Respondus Lockdown Browser installed for D2L , go to the desktop icon, right click, and rename the file to be "D2L Lockdown Browser". 1. Search in the Windows search bar for Lockdown Browser. Right-click on the Lockdown Browser and select uninstall. 2. You may need to enter your username and password for your computer to finish uninstalling the program. 1. To download Respondus Lockdown Browser from Canvas, go to a quiz that requires Respondus Lockdown Browser. Click on the quiz and select Take Quiz. 2. Click on the link to Download Respondus Lockdown Browser. 3. This will open a new tab with an Install Now button. Click on that option. 4. Open the downloaded file and follow the directions in the setup wizard. This will create a Respondus Lockdown Browser shortcut on your desktop. 1. Click on the Respondus Lockdown Browser icon on your desktop to launch the Respondus app. Be sure to open the app for Canvas and not for Learn@UWStout (D2L). 2. Answer in the affirmative (yes) when asked "Do you want to allow this app to make changes to your device?" 3. Respondus Lockdown may ask for permission to close other applications on your desktop. Make sure your work is saved and select Ok.
4. 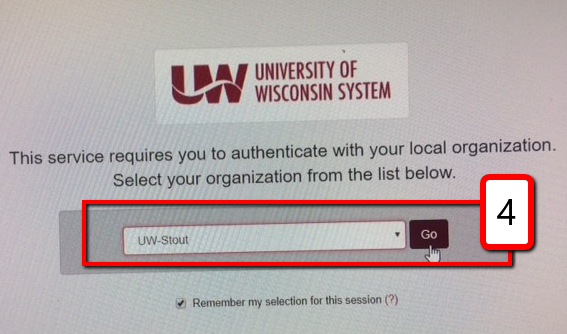 Respondus Lockdown will require you to authenticate the UW organization you are enrolled in. Please select UW Stout. 5. 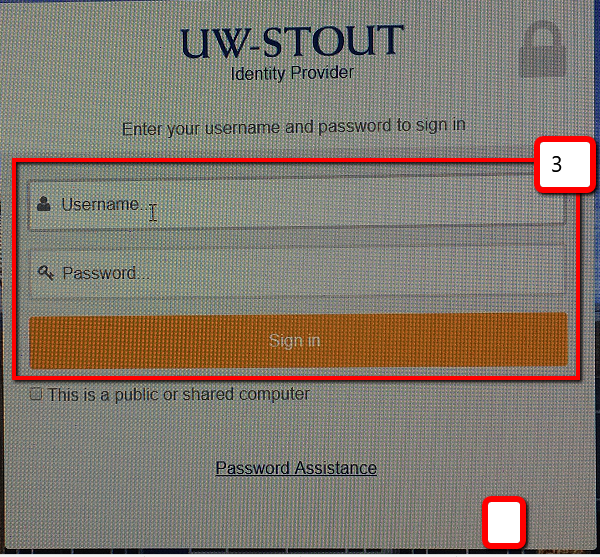 Next enter your UW Stout username and password and select sign in. 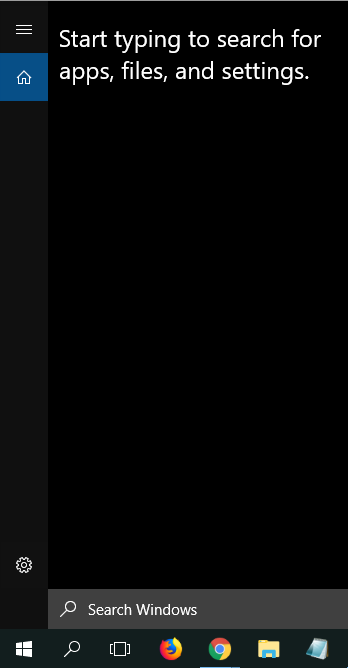 This will take you back to the Canvas dashboard but you will be locked from all other desktop applications and programs. 6. 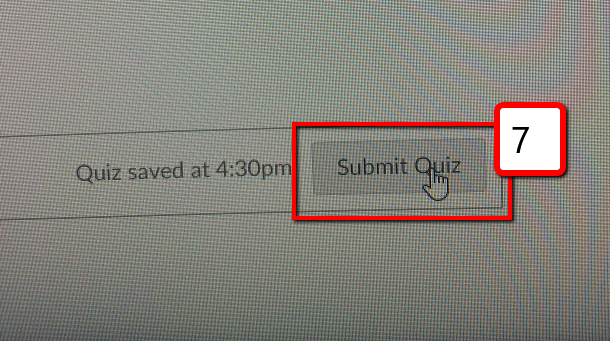 Navigate to your course and then to your quiz and select Take the quiz to launch the quiz in Canvas. Once the quiz is launched, you will not be able to leave the quiz until it is submitted. If you attempt to leave the quiz, a warning will pop up stating "Do NOT close the browser until the exam is complete. Your instructor will be notified if you exit the exam early". Please select Return to Exam if you wish to return to the quiz and continue taking it or select Close the browser to terminate the quiz prematurely. 7. When you have finished taking the quiz, click Submit Quiz. 8. 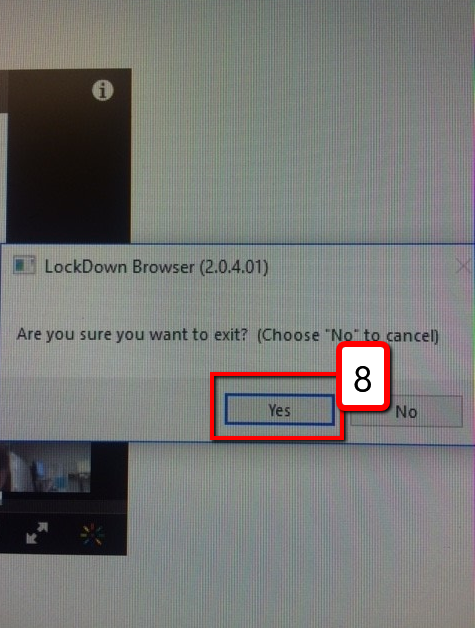 To exit Respondus Lockdown Browser, select the Red X in the upper right hand corner of the screen and select Yes when asked "Are you sure you want to exit?" 1. Rename the program downloaded from Canvas to indicate that it is the Canvas Lockdown Browser. 2. Re-download Respondus Lockdown Browser from the D2L homepage. 3. Open the downloaded file and follow the directions in the setup wizard. 4. Rename the program to indicate that it is the D2L version of the Lockdown Browser.